"You know you are a blogger if you wait for the sun to come out so you can take pictures of your latest makes!" That was my day today. It looked good this morning that the sun was going to make a show, and it did! The sky is a little hazy right now, but the sun is still visiting. I really didn't want to start anything new today, but I couldn't resist making a new folded star with rainbow colors inspired by the idea pool for the Pillow Swap 2015. I really enjoy making these. 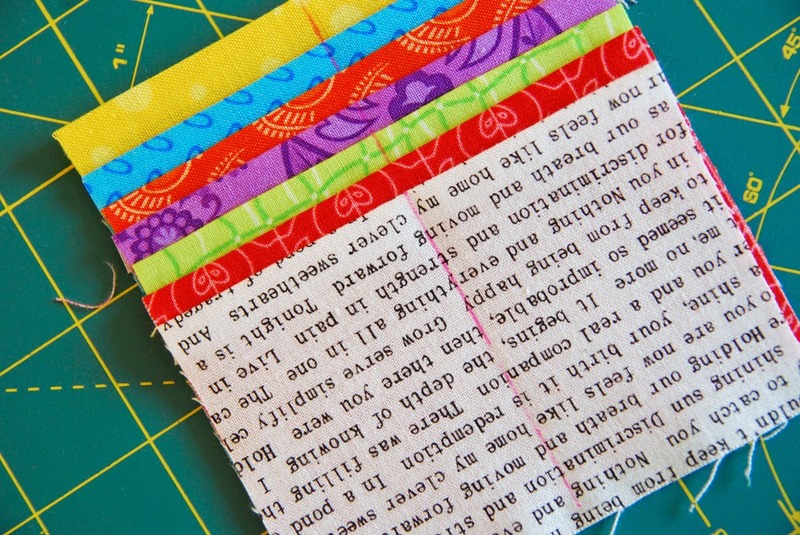 You can find the original tutorial from Maria Wallin (notonlyquilts.com). Contrasting fabrics seem to work the best. Instead of a rainbow flow, I went for contrary colors. I might use it for my pillow swap; I might not. Sometimes it is hard to make for others - to truly figure out what they like! On a different note - I love Christmas time. 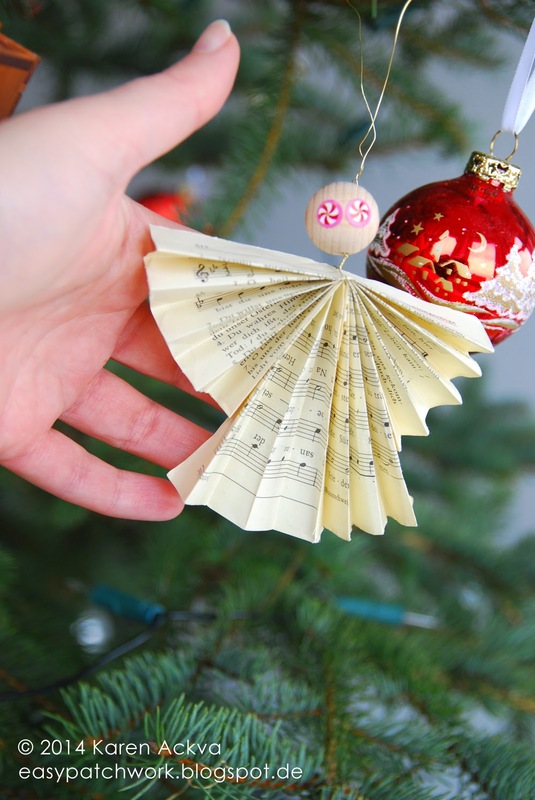 The kids make a different Christmas ornament just about every year in school (and sometimes at home). My littlest one brought this treasure home today! Und für die deutsche Mädels, die meinen Blog lesen....gestern Abend wurde ich in Kruschtwichteln bei Abendenssen mit Freundinnen eingeweiht! Sehr witzig und interessant! ich bin heilfroh dass Du den folded star gern machst, ich brauch da nämlich bald nochmal Deine Hilfe. Das neue Ornament für den Christbaum ist schön und wird wunderbar zu den anderen passen die Du schon gesammelt hast! 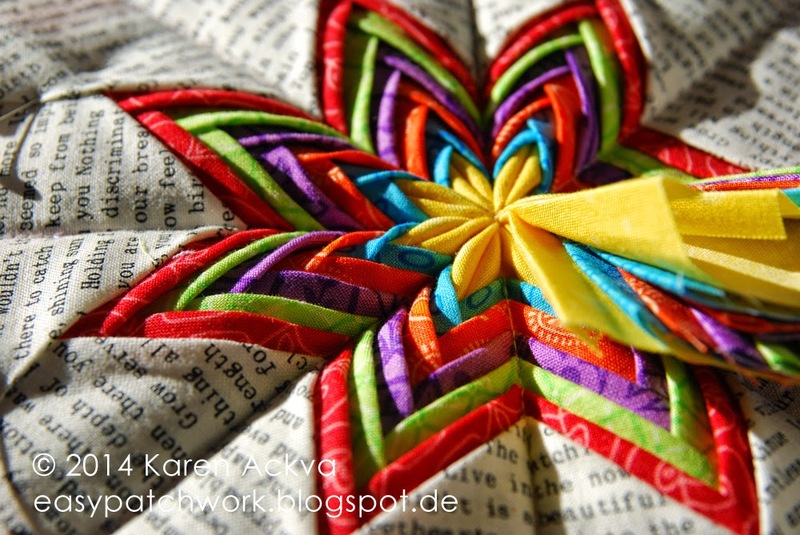 Love your choice of fabrics for the folded star, it's really beautiful. The tree angel is just adorable. We've had a couple of ornaments come home here too, and all sorts of other assorted makes too. dieser gefaltete Stern ist unglaublich schön - den wünsche ich mir dann von Dir in der Winterrunde des Pillow Swaps :-) Sehr, sehr schön, das muss ich unbedingt auch mal probieren! ich mag den "Folded star" auch sehr gerne - habe mich aber noch nie herangewagt.... Deiner ist wunderschön und die Stoffauswahl ist perfekt! Der Engel ist sehr hübsch!